Add homemade Sriracha, a little bit of apricot jam and a crusty, buttery biscuit and you have a deal! Combine flour, baking powder, salt, baking soda and brown sugar in a large bowl; cut in shortening with a pastry blender or fork until mixture resembles coarse meal. Add buttermilk, stirring with a fork just until dry ingredients are moistened. Turn dough out onto a well-floured surface, and knead 4 to 5 times. Roll dough to 1/2-inch thickness; cut with a 2-inch round cutter, and place on lightly greased baking sheets. Bake at 425° for 10 to 12 minutes or until golden. This can be done ahead, up to 2 days. NOTE: Fresno or red jalapeno peppers are supposed to be used in this recipe, but I did not find any, so I used a mix of green jalapeno, Serrano and habanero peppers. 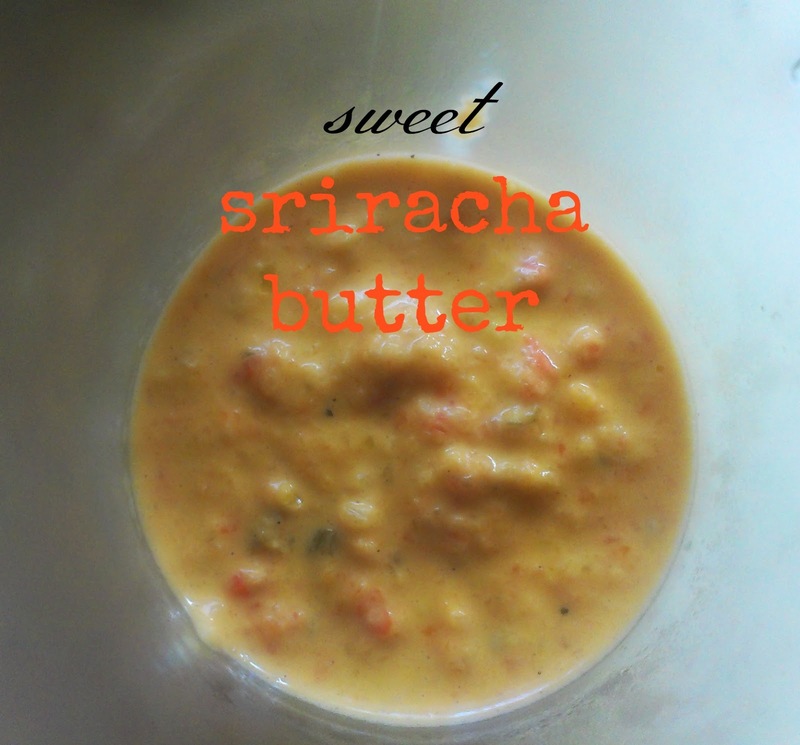 I'm not sure if my version is technically Sriracha, but I don't care. This tastes good. Blend the peppers, garlic, sugar, and salt into a blender or food processor until the mixture is finely chopped. Transfer mixture to a clean container or jar with a lid and let sit at room temperature for about 5 days. Stir once a day. It will bubble and move as it ferments. Pour the mixture into a blender or food processor and add the cider vinegar. Puree until smooth. Using a fine mesh strainer, strain the mixture directly into a saucepan or skillet. Press the mixture with a spoon or rubber spatula to get all of the juices into the pan. Turn heat to high, bring the mixture to a simmer, reduce the heat to medium low and let cook for about10 minutes or until the sauce has thickened and the liquid reduced. Take the pan off the heat and let the sauce cool. Let biscuits cool to just slightly warm. Split each biscuit, and spread with Sriracha Butter. 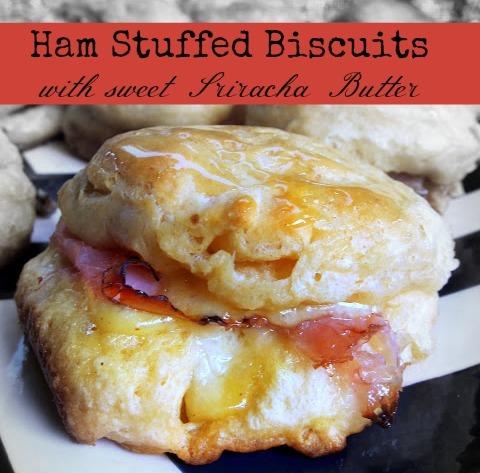 Stuff biscuits with ham. Eat.